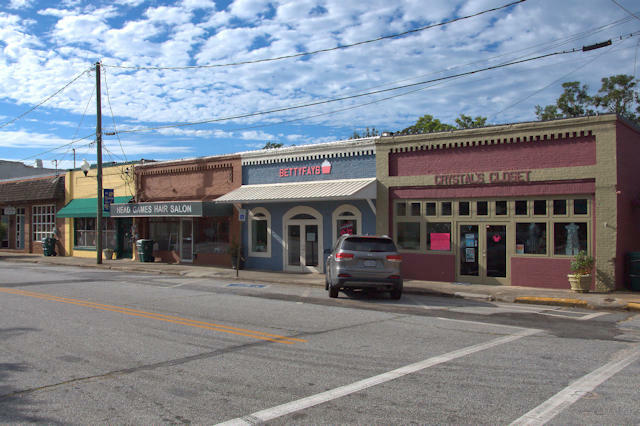 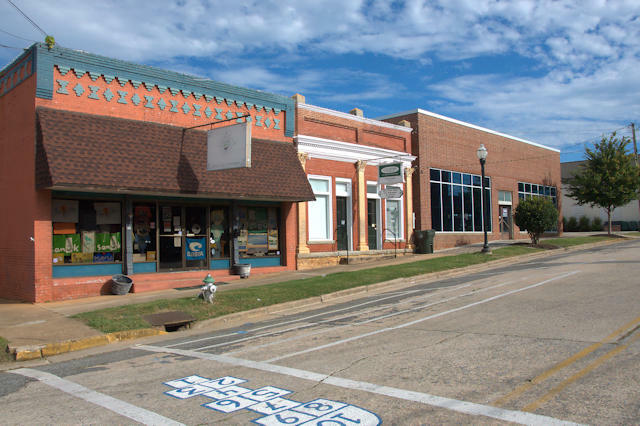 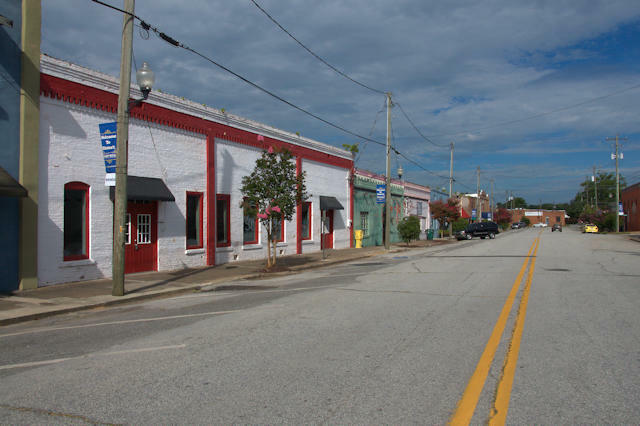 Depot Street is a great example of revitalization and repurposing of historical structures. 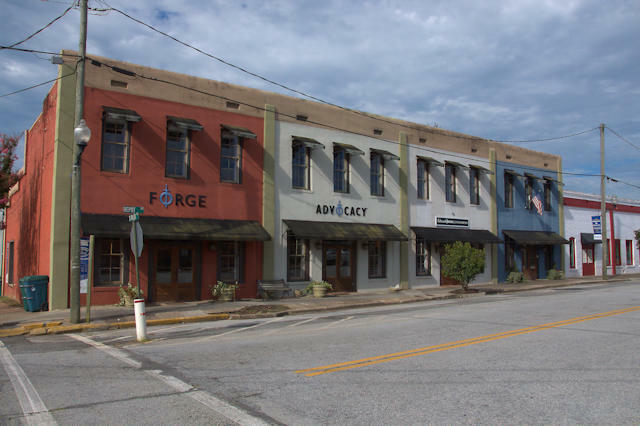 Colorful facades add to the appeal. 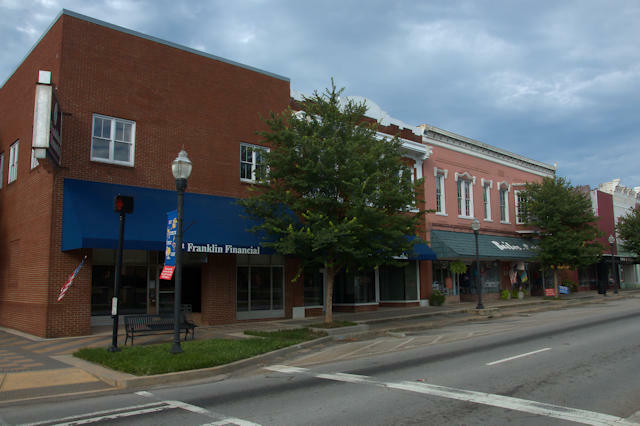 The street, a block off the courthouse square and highway traffic, is very pedestrian friendly. 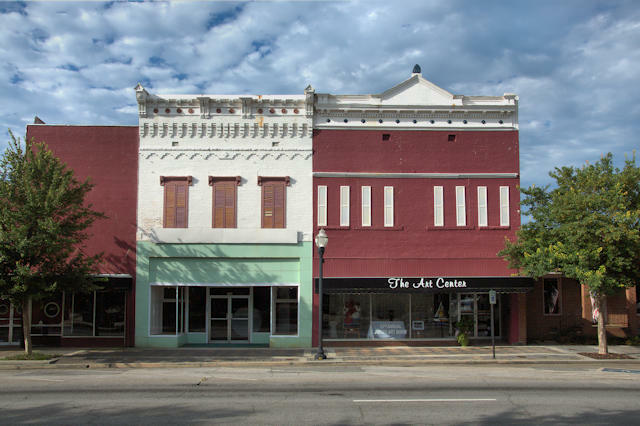 There’s an artsy feel, as well, with the Hart County Community Theatre and High Cotton Music Hall (above) adding a cultural vibe. 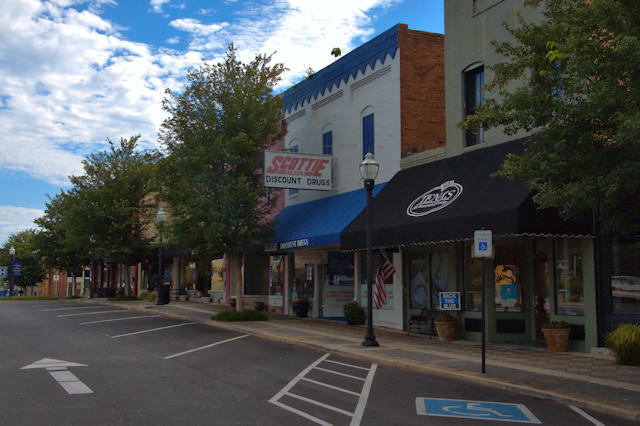 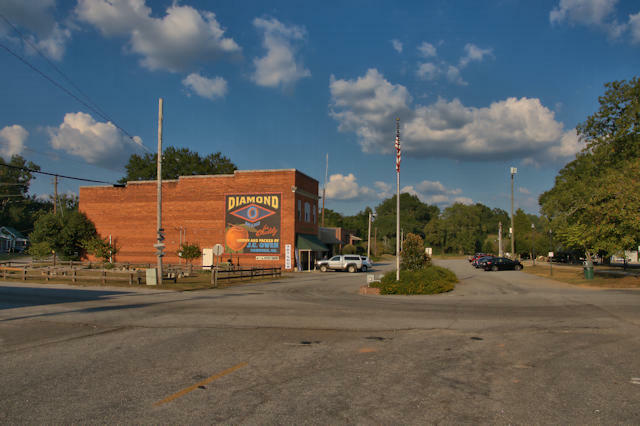 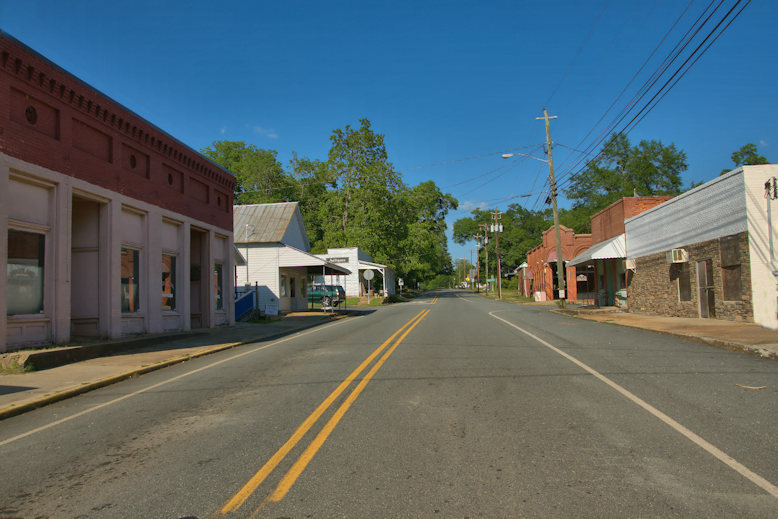 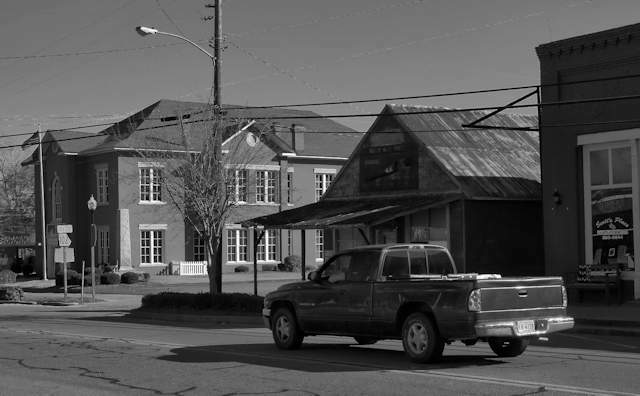 In contrast to many small towns throughout Georgia, Hartwell has an active and busy downtown, with nearly all the buildings around the courthouse still occupied. 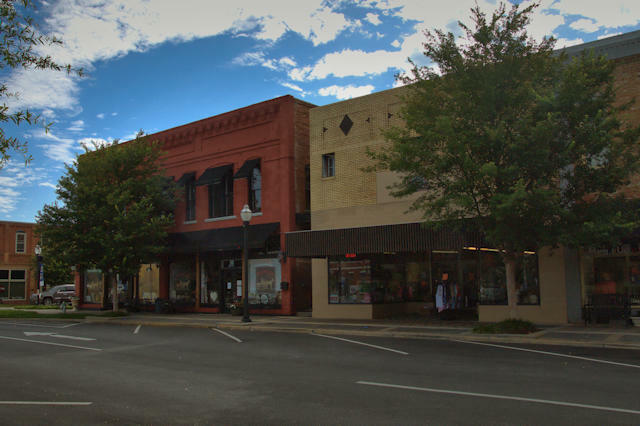 The structure to the right in the view above is Bailes Cobb, a popular locally-owned independent department store that’s been in business since 1929! 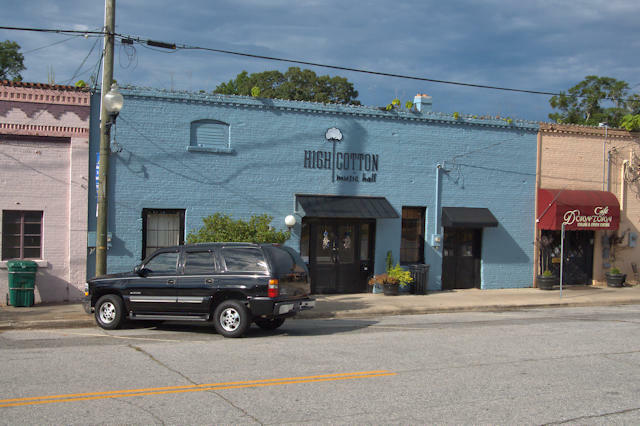 Below (right) is The Art Center, a gallery and event space operated by the Hart Regional Arts Council.